The Big Star story should be pretty well told at this point. They created some incredible records for the Ardent label in the early / mid 70’s which were ignored in their day, but would go on to achieve classic status over the last 30 years. Most people with a passing interest think of Big Star as Alex Chilton’s band from inception to dissolution which while not entirely wrong, is omitting a very crucial piece of the puzzle: Chris Bell. Bell was actually the catalyst for the formation of Big Star and the initial songwriter that would make up much of #1 Record. It was his band, along with Jody Stephens and Andy Hummel, that would become Big Star once they invited Chilton to join. Chilton and Bell wrote most of #1 Record together, though when the album didn’t achieve commercial success, infighting ensued with Bell getting in physical altercations with Hummel. By the time their 2nd album Radio City was released, Bell had left. A few years later he resurfaced in Europe trying to resume his songwriting and performing career as a solo artist. During 1974-1975, he committed a whole ton of music to tape. While nearly all of that material would be shelved, Bell was incredibly productive producing songs that given the right treatment, could’ve resurrected his career or perhaps, been the album Big Star could’ve risen to fame with. There was only one official release to Bell’s name. The 1978 single on Chris Stamey’s Car label: I Am The Cosmos / You And Your Sister was released just months before he died in a car accident. He was on the mend, might’ve patched things up with Chilton (as he sung backing vocals on the b-side) but instead he fell asleep while driving. Thankfully, he had those recordings from 1975. The early 90’s marked the first release of all the archival songs and they are without question, a revelation. It sounds like Bell picked up right where #1 Record ended with songs just as catchy and well produced as anything Big Star did. Reflected in these songs are Bell’s struggles with drugs, depression, aimlessness, but also, a wonderment for something deeper. 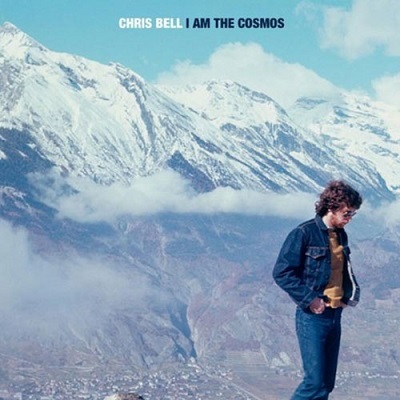 The best songs of the batch were reconfigured as a proper vinyl LP in 2006, I Am The Cosmos, which is now finally being reissued after being out of print since then. This is all a warm-up for a forthcoming 6LP box set later this fall which will set the record straight giving us everything he committed to tape.